March 2, 2016, 4:51 p.m. 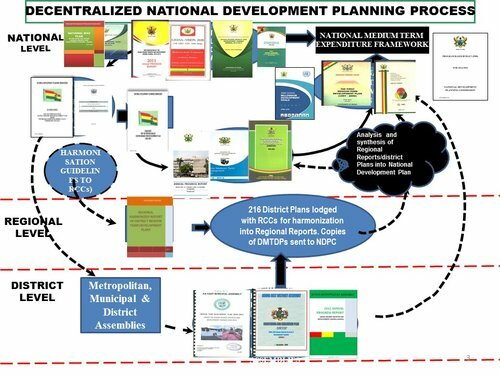 The Director-General of the National Development Planning (NDPC), Dr. Nii Moi Thompson, has urged Ghanaians to fully commit themselves to the implementation of the 40-year national development plan. He said transforming Ghana into a great nation could not happen by magic but through the implementation of an ambitious and achievable long-term development plan. Dr. Thompon said this at a meeting with members of tha National House of Chiefs in Kumasi to solicit their views for the formulation of the final plan. It was also to seek their support in the implementation which starts from 2018 and ends in 2057. Dr. Thompson made a presentation on the detailed plans earmarked to improve Ghana's railway system, create more employment avenues, modernise settlements, increase infrastructure and housing deficits, build a sustainable and industrialised economy, and improve on service delivery deficiencies. 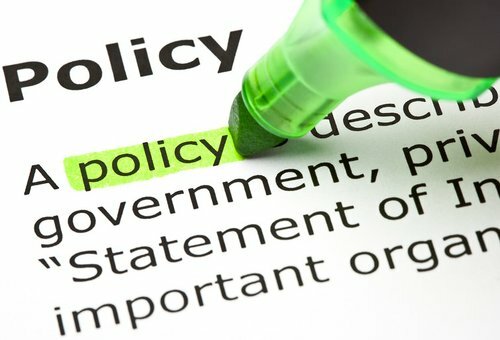 He was optimistic that the long-term plan would serve as the basic framework policy for political parties to make their manifestos, stressing that it would be too good that no political party could ignore it when drafting their policies. "The world is changing and as a country we need to think ahead and then take more bold decisions to position ourselves well for the future. It is not just enough to think outside the box but think critically," he said. That way, he said, the nation would identify cogent measures and programmes and how best they could be implemented to realise the best of results and put the economy amongst the best in the world. The Chairman of NDPC, Prof Kwesi Botchwey, said their engagement with the chiefs was to allow the traditional leaders the opportunity to express their views and aslo engage them (NDPC) in a conversation to attract their support. The Paramount Chief of Asante Traditional Area, Nana Susubiribi Krobea Asante doubted the implementation of the plan as long as Ghana continued to practice the winner takes it all political system. "If experienced board members are going to be put aside every four years on political grounds, then the 40-year development plan would not be implemented," he noted. 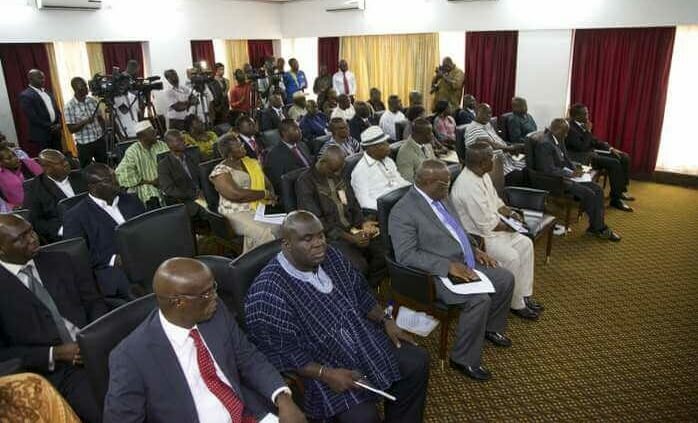 For his part, the Okyehene, Osagyefo Amoatia Ofori Panin II, said Ghana must first tackle the high spate of corruption at the highest political level before they thought of implementing such a plan. "The developmental plan would be useless if people continue to steall state money and then invest them outside the country.Our country coannot continue to borrow to pay salaries and still think we can go somewhere. We cannot develop when we do not own our airport, harbours and other key infrastructures," he claimed. The President of the National House of Chiefs, Wulugu Naba Pugansoa Naa Prof. John S. Nabila, in a welcome address read on his behalf said it was important that the plan was developed so that governments irrespective of the party in power would adhere to it for continuity. He wished that the plan would serve as the holistic assessment of the performance of successive governments. Prof. Nabila expressed the hope that the long-term development framework would put a halt to the politicisation of Ghana's development process which changes every four years when there is a change of government.